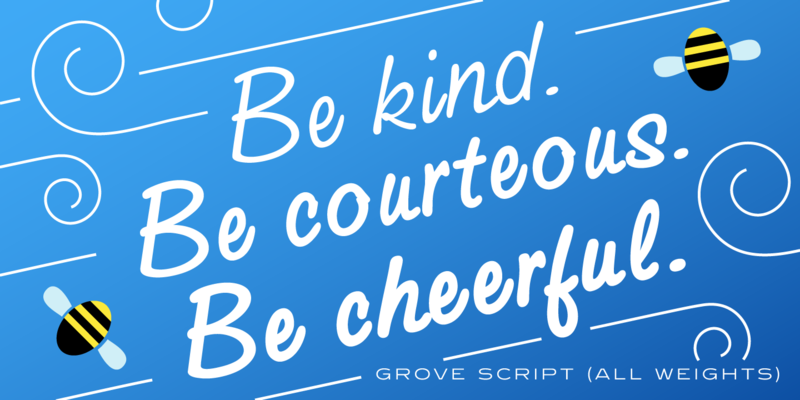 Grove Script is a casual script font family. It began its life as a single typeface at QBF in Manchester, England, under the name ‘Em Script.’ Grove Script’s digital letterforms were manufactured by Pat Hickson (P&P Hickson) exclusively for the Red Rooster Collection, and its full commercial version was produced by Steve Jackaman (ITF) in 1992. 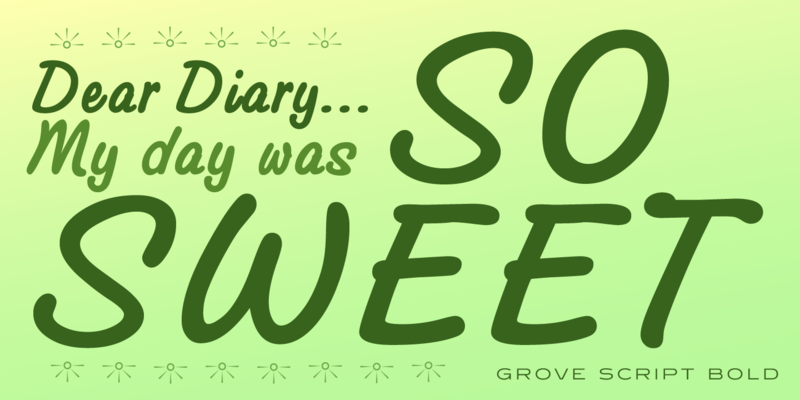 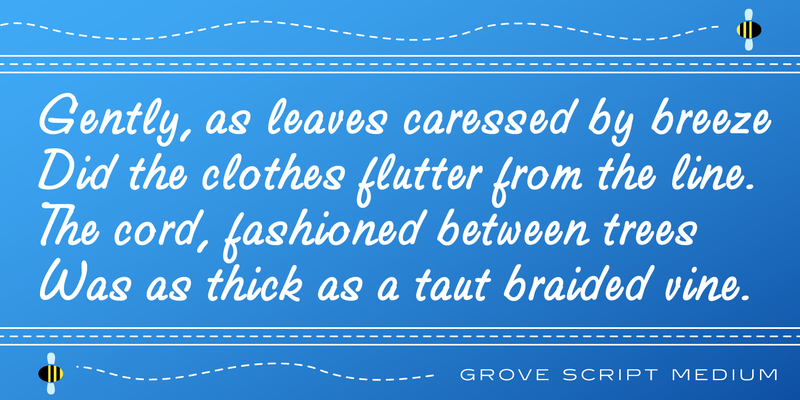 Grove Script has a comfortable feminine feel, and was designed with legibility in mind. 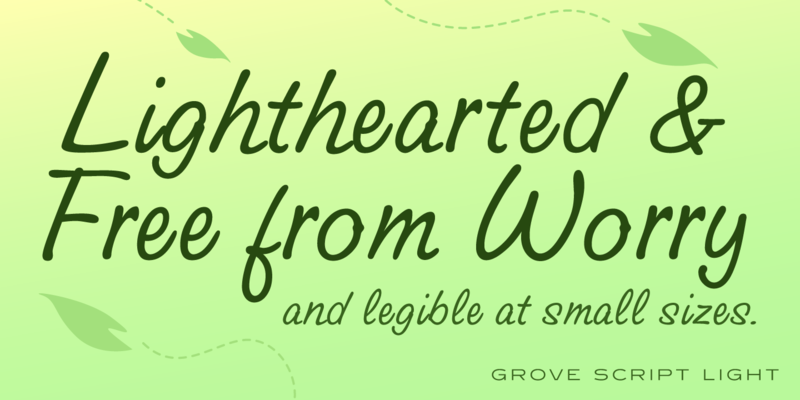 Its sweeping strokes display nicely at all text sizes, and brings charm to any project. 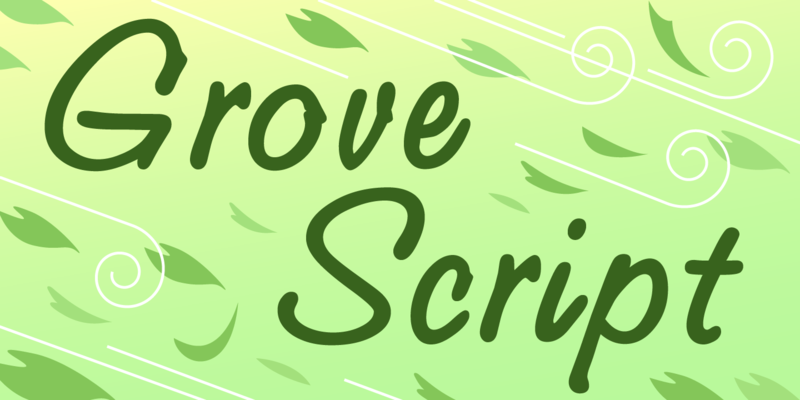 Grove Script is a trademark of International TypeFounders, Inc.